This petition has over 4,000 supporters and has even been signed and tweeted by the popular voice actor Troy Baker, who co-stars in the newest Uncharted. Its goal is not to demand that The Washington Post take video games more seriously, nor is it to ask the storied newspaper to expand their gaming coverage more broadly. 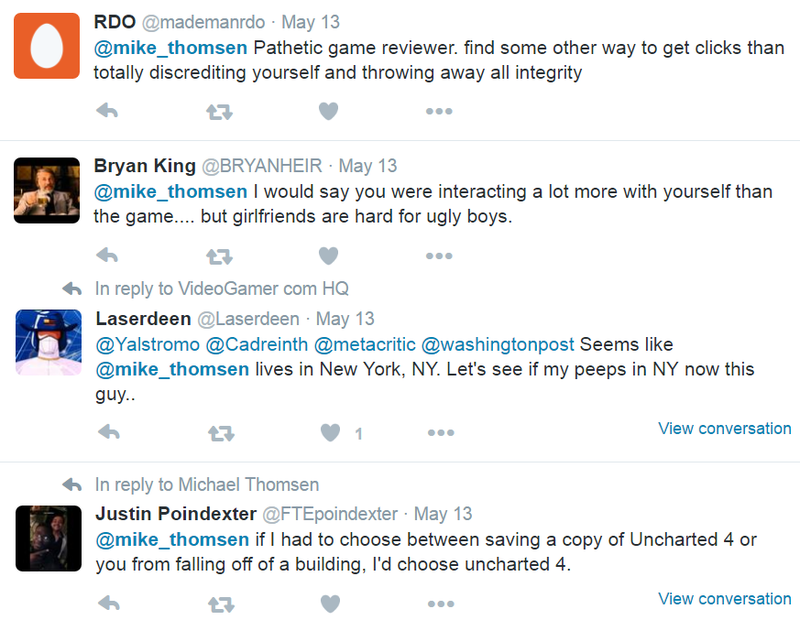 This is a petition to remove The Washington Post’s Uncharted 4 review score from Metacritic. 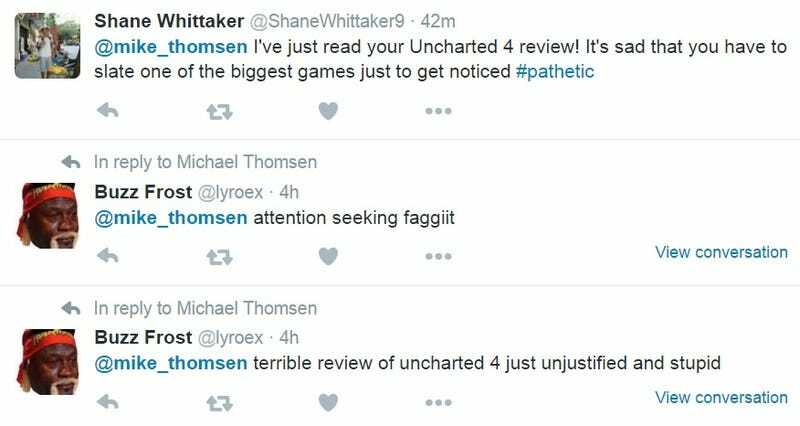 See, Washington Post reviewer Michael Thomsen did not like Uncharted 4, and he slammed the game accordingly. Thomsen, a veteran critic, usually takes a contrarian approach to his reviews, doling out harsh criticism to beloved games like Dark Souls and Red Dead Redemption. (He once wrote a regular IGN column called Contrarian Corner.) His review of Uncharted 4 does not have a score, but aggregation website Metacritic interpreted it as a big red 4/10, which as of right now is the only score below an 80. Hence: internet petitions. What’s sad is that this has become expected. For many years now, review scores have poisoned the discourse surrounding video games. Reviewers who shy away from the norm and offer lower scores than average are regularly faced with abuse from video game fans who feel the need to defend their favourite purchases. When a reviewer dares to give a much-hyped game like Grand Theft Auto V a non-perfect score, they risk facing the horde. Harsh criticism on sites that don’t give review scores (like Kotaku) is rarely if ever met with this sort of reaction. Numbers just drive people crazy. Review scores, as we’ve said before, are toxic to gaming culture. They kill nuance, invite unfair comparisons, and create the illusion that video games can be evaluated definitely and objectively. And Metacritic has hurt video game developers and games in all sorts of ways. Thanks to score aggregation, a 20-year-old student who writes game reviews between classes might cost an independent studio millions of dollars. Incidentally, Thomsen’s review isn’t even very sharp. It fails to make a convincing case that Nathan Drake’s story is an “inconclusive wreck” and it doesn’t have much to say about how the game feels or whether the game’s creators accomplished what they set out to do. One might think it could lead to some interesting critical conversations. Or it could just lead to Troy Baker signing a petition about the review score. “I believe U4 is one of the greatest games ever created and it is my personal favorite for sure,” reads the petition, “although i can justify some reviewers giving it a 9 or an 8. But this is a utter disgrace."